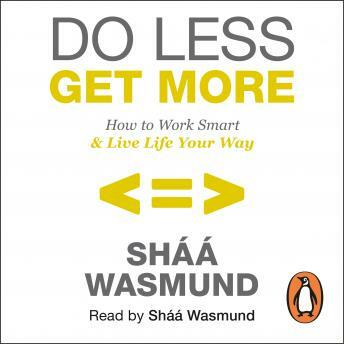 Penguin presents the unabridged, downloadable, audiobook edition of Do Less, Get More, written and read by Sháá Wasmund. Is your life how you imagined it would be, or is the reality more stressful than you planned? Do you put yourself under too much pressure to succeed? Are you struggling to find time for the things, and people, you love? It doesn't have to be this way. Anything is possible when you stop trying to do everything at the same time. This life changing book gives you the tools to ditch your to-do list and follow your dreams. It will be your essential guide to doing what you love - and letting go of the rest.